WHY DO I PRACTICE ESTATE PLANNING AND BUSINESS LAW? Gary De Bruin has been a businessman and practicing attorney for more than 20 years. Gary’s experience as both a businessman and an attorney provides his clients with unique, tailored advice for the numerous legal concerns they may have. Gary has worked in a variety of business environments, ranging from small startup companies to major Fortune 500 businesses. After earning his Juris Doctor degree from the University of Baltimore in 1995, Gary accepted a position with DCI Management and oversaw the transformation of the company from a local business to a thriving company, servicing clients in the United States, Canada, South America, and Europe. He credits parts of this business success to his employment history, prior business experience, and his legal knowledge. Gary has extensive experience in many areas of business, and his clients are impressed with Gary’s knowledge and professionalism. Gary assists clients in diverse areas, such as restaurant franchising, both international and domestic business consulting, logistical management, consumer product creation, and legal practice. Gary’s experience inside multiple businesses allows him to pinpoint his clients’ issues and create customized solutions to achieve their goals. Additionally, Gary has not only created businesses, but he has also taken over failing businesses and turned them into profitable enterprises. His history in the legal field and countless business environments has provided him with a deep knowledge of business formation, financing, valuation, and operation. He is also an experienced negotiator and has negotiated contracts on behalf of his clients. Gary also assists with contract formation and disputes. Gary’s broad experience makes him an excellent resource for his clients on matters involving business law, employment law, and business consulting. 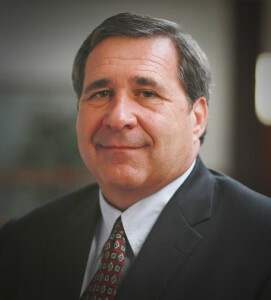 Gary is also an experienced estate planning attorney. Gary advises his clients on the various issues that will impact the administration of their estates. As a businessman with a deep understanding of South Carolina estate law, Gary is able to advise business clients about how they may handle their businesses through estate planning to ensure their businesses (and their business partners) are protected. Whether his clients are business owners with multiple assets or are individuals with simple estates, Gary is able to provide guidance to ensure their wishes are carried out. For families that wish to avoid the expense and stress of dealing with the probate court, Gary is able to provide advice on alternatives, such as trusts, that allow property to bypass probate court. Gary is licensed in Pennsylvania and South Carolina. He provides individualized attention to his clients and encourages them to contact the office with any questions or concerns they may have. Gary focuses on providing excellent results to his clients while providing them with the benefits of a small firm: regular communication and attorneys and staff who know your name when you walk in the front door. WHAT MAKES MY FIRM PARTICULARLY SUITED TO HELPING YOU RESOLVE ALL YOUR BUSINESS LAW ISSUES? At the De Bruin Law Firm, we offer proprietary business law services tailored for entrepreneurs and small business owners. These services are designed to prepare our clients for legal issues faced by businesses, large and small. We thrive on the success of your business. We have dedicated ourselves to building relationships with our local and national clientele. From business formation to growing the company to business succession planning, our goal is to be accessible and available to our clients for any legal need that arises over the life of the organization. With attorneys who have backgrounds in commerce and business and have years of experience in litigating and negotiating business law issues and who are talented entrepreneurs, the De Bruin Law Firm is specially equipped to meet your needs and to provide you the guidance and representation needed to protect your business. At the De Bruin Law Firm, we believe in maintaining strong relationships with our clients through effective communication. We pride ourselves on our ability to provide the quality service throughout the many situations where you may need legal guidance. To speak with one of our attorneys call us at 864-982-5930 or use the link below.